Want to add a little vintage vibe to your home? 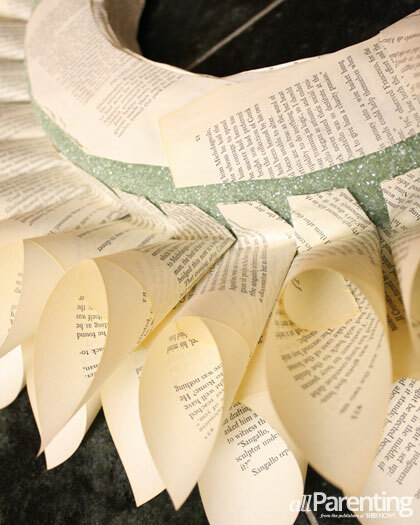 An old book, hot glue gun and simple wreath form are all that you need to create a beautiful paper wreath that can be used all year-round. 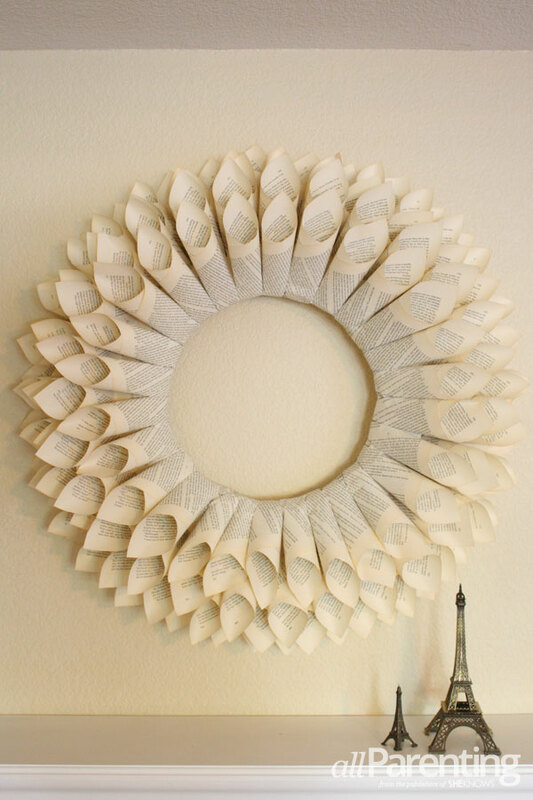 This wreath has charm to spare with the use of an old book, a little glue and a few "turns of the page." Begin with the toughest part — tearing out the pages from your book. 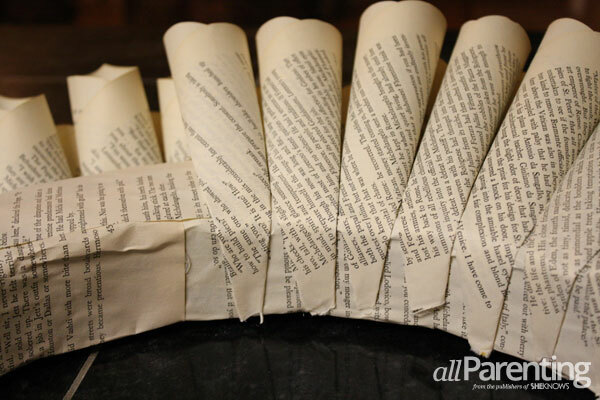 You'll use many pages, so go ahead and rip them all out. 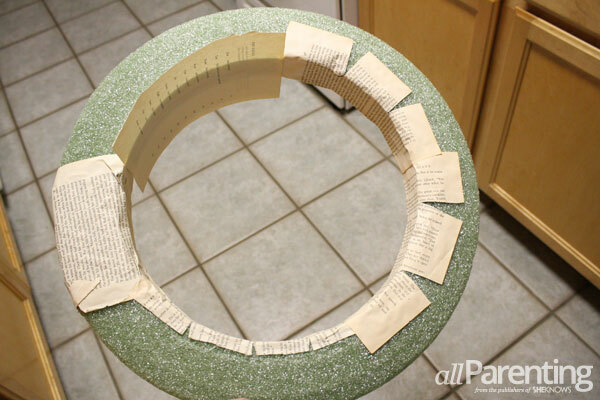 Then glue several pages to the foam wreath to cover the inside rim completely. Set aside. 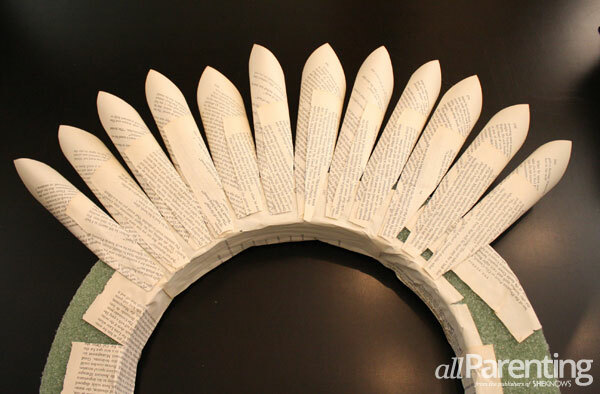 Create a loop for the back of your wreath by folding a page several times into a long rectangle, gluing it closed at the flap. Attach your loop to the back of your wreath form with glue, securing it with an additional piece of paper overlapping the hook. 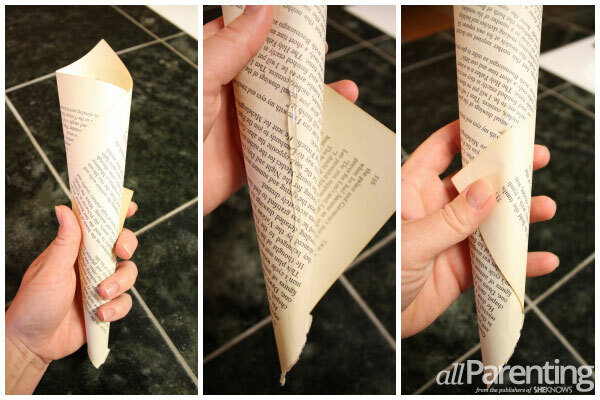 Next, roll a page to form a cone. Apply a single line of hot glue onto the back of the cone (the longest side). 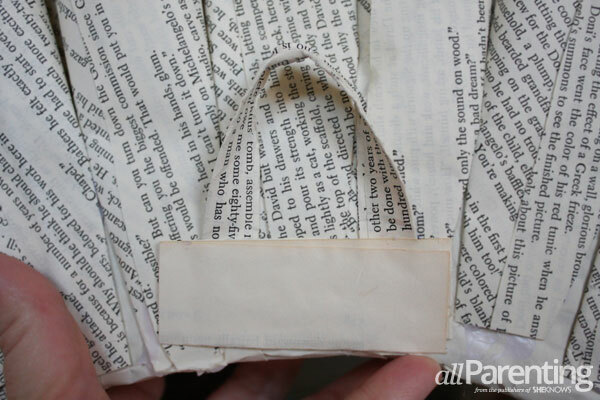 Wrap the end flap around the glue to secure. Start by gluing the cones to the back of the wreath with the short sides attached to the wreath. This will create the base. Once you've completed the base, working from the back forward, bend each cone at the pointy end and apply hot glue before sticking to the wreath. Complete a full circle before applying the next layer. You may find the cones becoming a bit too long the closer to the front you get, so trim them accordingly. You are going for an even height from the wreath all the way around. Your last layer of your wreath will be the front layer. Do not bend these cones. Instead, you will apply a liberal layer of hot glue to the back bottom half of the cone, gluing that to the inner rim of the wreath. Bend it slightly backward toward the rest of the cones as it dries. Your wreath is ready for display!